& Vice President of YG Laboratories Inc. Widespread changes in how skin care products are developed including new ingredient-driven technologies, product customization, genetics-driven wellness and new methods for visualizing and documenting results are now a hallmark of current cosmetic development. And new medical research technologies such as In Vivo Visualization of underlying skin physiology give us a fuller understanding of ingredient and product performance, which impacts how skin care products are developed. The scene is constantly changing, with new findings and science-based approaches to attract new, more-educated consumers to brands, so the need to stay current grows each year. As a Product Innovator and Educator, Irena James brings a wealth of experience and novel ideas about survival in an era of never-ending new technologies. She will share her unique perspective at BIW’s March meeting, a not-to-be-missed update that previews the forthcoming UCLA Cosmetic classes. Like other industries, the cosmetic industry is affected by advances in both technology and medicine. This natural evolution results in new ingredients, devices and modalities becoming available at a more rapid rate than ever before. And now new testing methodologies allow us to better understand how these ingredients interact not only with our skin cells, but also with our genes and skin’s microbiota, presenting unique frontiers for skincare entrepreneurs, product developers and marketers. How will Chrono-Pharmacology, Circadian Rhythms, Clock Genes and Beauty Sleep affect product development? Irena James - For the past two decades, Irena has educated generations of students, clients, and industry peers on skincare ingredients, treatment protocols, and brand development in the professional, prestige and medical arenas. 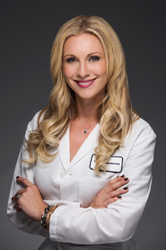 Her career is dedicated to increasing the awareness of scientific advancements in the Cosmetic Sciences in academic as well as professional and commercial product forums. Irena brings a unique perspective to the world of skincare through her expertise as a prolific product, protocol and curriculum developer, educator, author, and skincare therapist. A former Professor of Esthetics at Seneca College in Toronto, Canada, and Director of Business Development for Spa Products and Devices in the EU, Irena has worked with YG Laboratories, a high performance private label manufacturer for the past15 years both as a formulator, leading their R&D team, and as head of their Educational Department and was recently appointed Vice President and a Member of their Board of Directors. Irena shares her passion for new discoveries in skin biology and ingredient technologies through seminars, as a featured speaker at industry events, and through webinars and industry articles. A frequent contributor to industry publications, she’s a member of Dermascope’s Editorial Advisory Board, and past author of their Ingredient Column. Irena has taught UCLA Extension’s Cosmetic Ingredient courses since 2010, combining top tier academic research with practical, real-world applications. As a current member and a former Board Member of BIW and SCC, she is also Cofounder & Partner of Evoté, a groundbreaking skincare line that utilizes the principles behind “beauty sleep”. Irena has also made frequent appearances as a featured guest on Evine, the multi-channel video retailer.